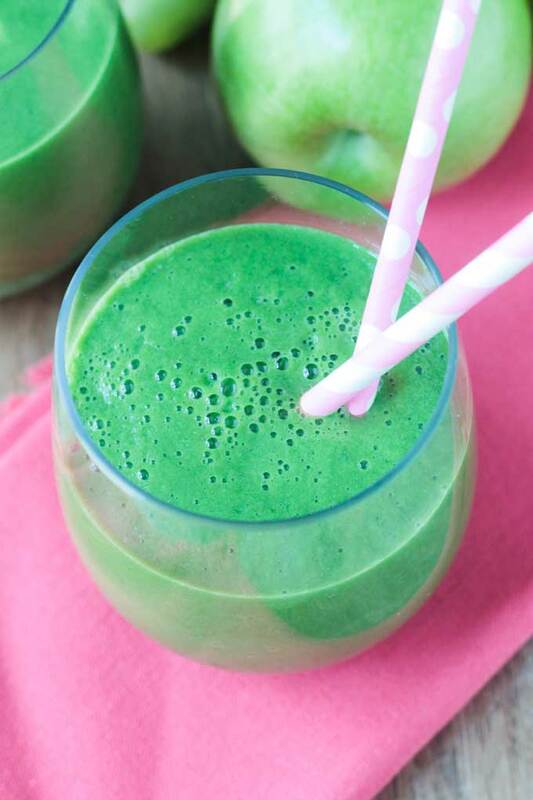 Green Blender Juice – No juicer? No problem! 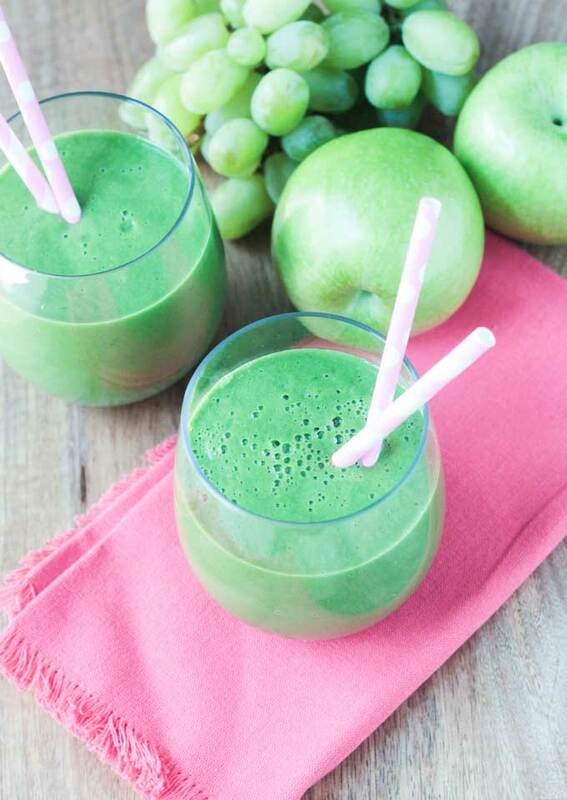 Get the healthy nutrients of green juice along with beneficial fiber all with the ease of your blender. Sometimes I just don’t feel like getting out my juicer. 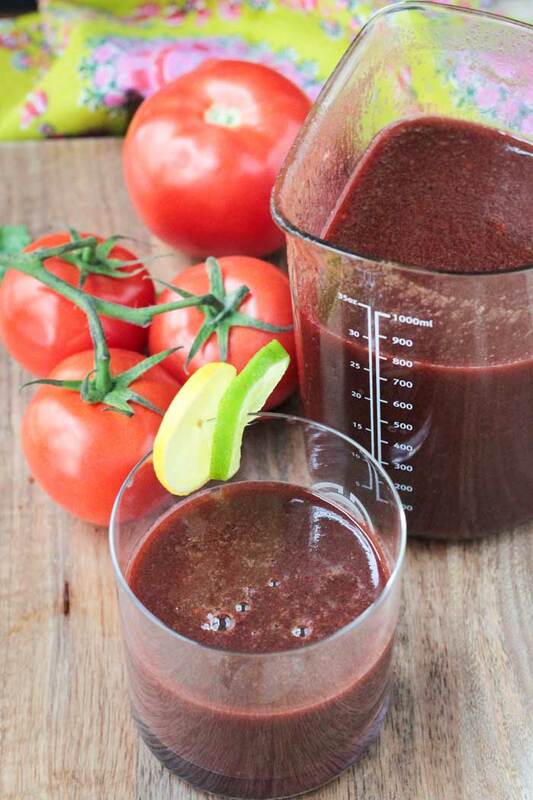 Don’t get me wrong – I LOVE my juicer and it’s incredibly easy to clean – but it still doesn’t compare with the ease of a blender. There are less components to clean on the blender and it takes a lot less produce to make a decent size serving. That’s where blender juice comes in. It’s thin like juice (not as thin as from a juicer though), contains no added sweeteners and has the added benefit of healthy fiber (something you don’t get with a juicer). You could take it one step further if really don’t want the pulp (fiber) in there and pour it through a fine mesh strainer, discarding the pulp left behind. If you’ve got a good blender though (I LOVE my Vitamix) your blender juice won’t taste pulpy, not with this particular juice recipe anyway. As an added bonus, you can turn it into a smoothie on a whim by adding 1 or 2 bananas, which will thicken it right up! 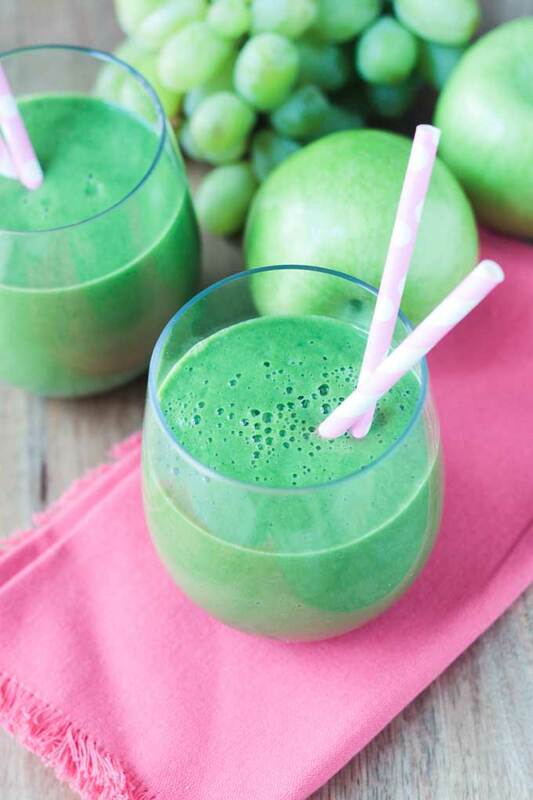 We’ve enjoyed this Green Blender Juice 3 times this past week. The kids love it and keep asking for more. I’m certainly not going to argue with that request! It’s like those apple grape juice boxes you see in the store, but with added kale and no sweeteners. All the kids needs to know, however, is that it tastes like apple white grape juice. If you try this recipe, please come back and leave me a comment below with your feedback. You can also find me on social media. Be sure to tag @veggie_inspired and #veggieinspired so I’m sure to see it! Enjoy! No juicer? No problem! 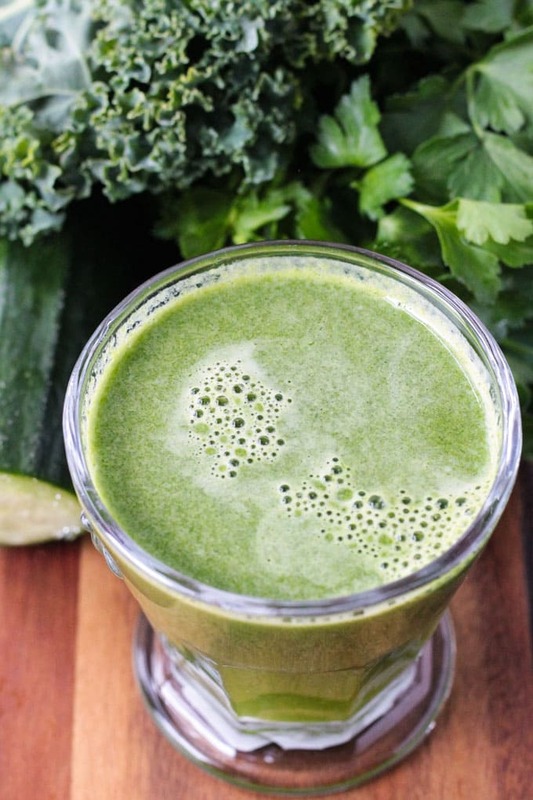 Make easy green juice right in your blender. All the nutrients of juice with the added benefit of healthy fiber. No added sweeteners. Prefer something thicker? Add a banana or two and make it a smoothie! Placed all ingredients in a high speed blender and blend until smooth. Want something thicker? Add 1 or 2 bananas and make it a smoothie! I’m definitely smoothie over juice. Taking out the fibre seems a daft thing to do and if you have a good blender, you hardly notice anyway. Love the vibrant green you’ve achieved. Yup, probably very similar. Definitely a great option for those that don’t have a juicer, but don’t necessarily want super thick creamy smoothies all the time. 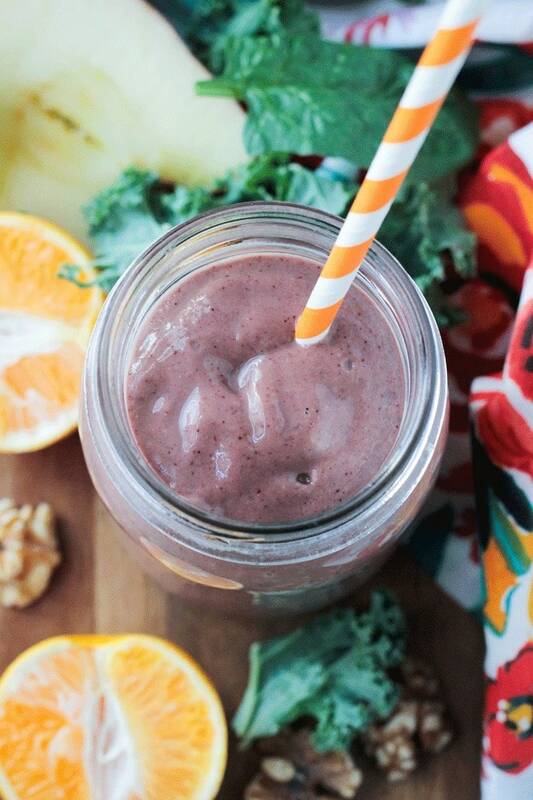 This looks and sounds wonderful… and perfect to have my Lean Greens in too. I love your use of green and pink together, BTW, so perfect! With that beautiful color I was expecting spirulina, but grapes and kale is a gorgeous combination! Apple white grape juice is the bomb, I have some of that in the fridge right now, and getting in some greens in the process, heck yeah! I love the idea of Vitamix juice, one less appliance to have to store and clean haha! So pretty, right? Thanks, Natalie! And, yeah, I love my juicer, but it’s definitely easier in the Vitamix! Yea!!! I mean…I’ve never done it, but I’ve seen it done and it’s much more economical too if you don’t have a juicer. The only reason I want to juice (even though I never have…but I do have a juicer) is to get some veggie pulp for dehydrator wraps or crackers! ….One day! This looks so good! I love that you don’t need a juicer to make it.